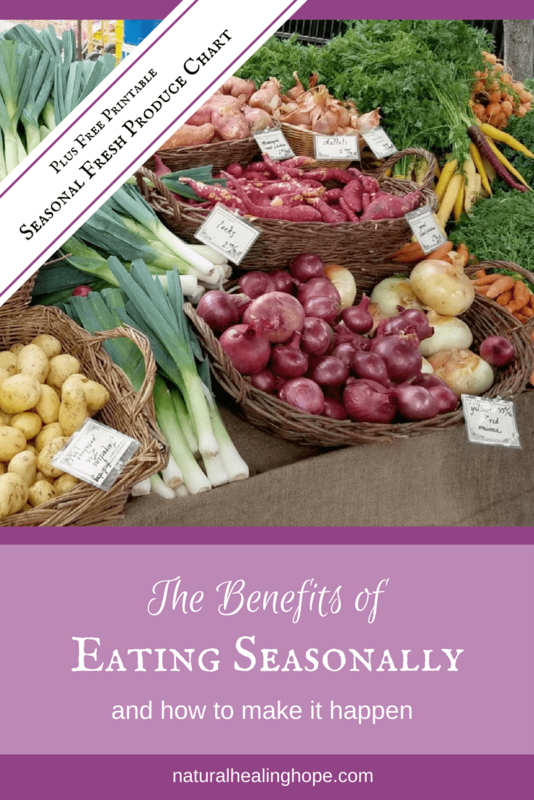 Have you ever considered the benefits of eating seasonally? Honestly, I myself have never really given it much thought until recently when I stumbled upon information about eating seasonally while doing some research for my blog. As a natural health advocate, of course, I am a big supporter of eating local and organic as much as possible for obvious reasons. However, I never really considered the health benefits of eating seasonally until I started researching it. After creating a Seasonal Fresh Produce Chart to go with my wildly popular Beet post, I then created a pin on Pinterest just for the chart. Surprisingly it got re-pinned like crazy and even out-pinned my Beet post. 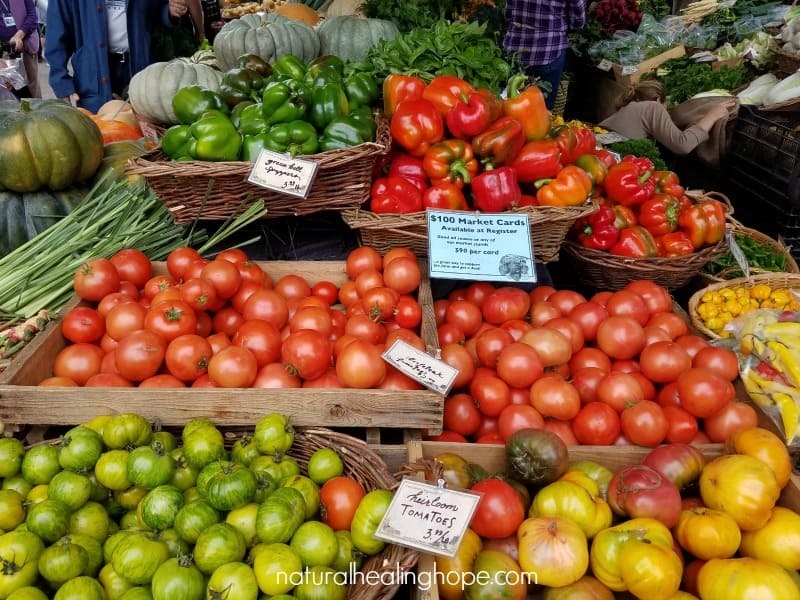 So I quickly discovered there was a big interest in this subject and started researching it more so I could do an informative post about all the benefits of eating seasonally. I’m telling you, this was one of the most fun, eye-opening adventures I have had in awhile doing online research. 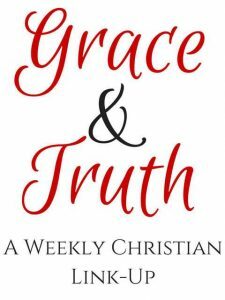 It has led to some exciting new things and changes my husband and I are going to be doing this year. The availability of all varieties of produce year round: blessing or curse? We are blessed to live in a society with so much variety in our local supermarkets all year round but we don’t even realize what is involved in making that happen. We are unaware of the hidden health consequences of the modern convenience of having everything we desire available to us whenever we want it. So is it a blessing or a curse? Something to think about for sure. I think if you spend some time doing your own research on this subject, you will reconsider how you are obtaining your fresh fruits and vegetables. 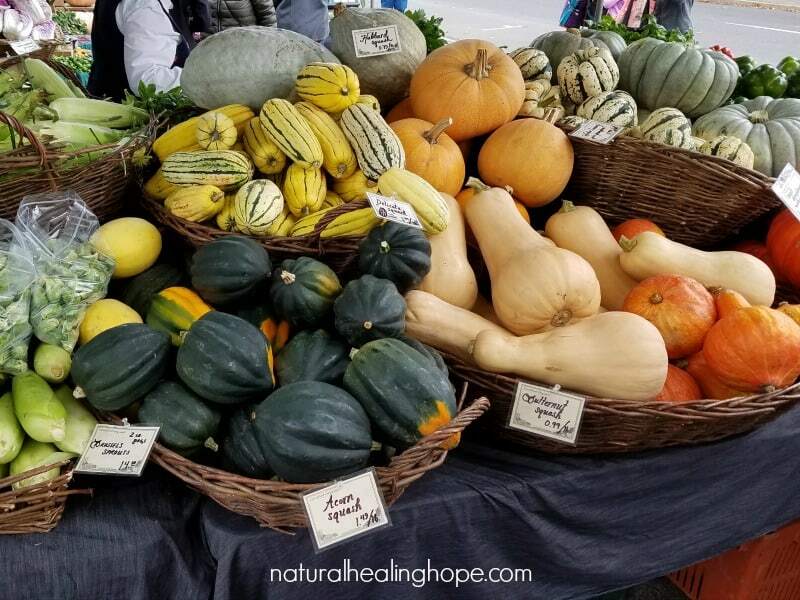 Let me give you a quick summary of how eating seasonally can benefit your health and then I will share with you some practical ways to make that happen. Better Flavor and Nutritional Value: Fruits and vegetables that have been fully ripened in the sun not only taste better with a full of flavor, but they are higher in nutritional value and antioxidants. Keep in mind, nutrient density declines progressively from the moment of harvesting. More Cost Effective: Buying produce in-season will save you money. It is a simple case of economics. When supply is high, prices go down. When demand is high and supply is low, prices go up. Also, produce that is not in-season has to be shipped in from other parts of the world so you have to pay for the added transportation costs involved. Supports Community: By buying seasonal produce, you support your local farmers, your local community, and the local economy. It helps you feel more connected. Less Toxic Chemicals: Local farmers are less likely to apply pesticides and use herbicides. They harvest closer to when their crops are ripe since they don’t need to be transported far. Beware: With produce from other countries there is the risk of relaxed regulation of pesticides, herbicides, fungicides and the testing of soil contaminates. Also, produce is often gassed, irradiated, bleached and sprayed with chemicals to withstand travel and extend the shelf life. This is why it is so important to choose organic produce as much as possible. Supports Your Body’s Seasonal Needs: Eating seasonally supports your body with what it needs for the various seasons. 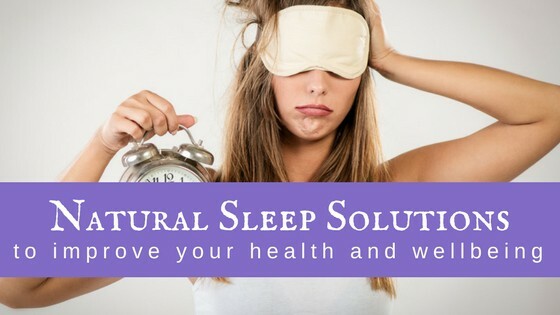 Some examples include: Summer fruits like berries and melons keep us hydrated in the summer and provide more sweetness for the extra energy we require with a more active lifestyle during the warmer weather. Fall produce is uniquely designed to help us warm up with comfort food and build our immune system to prepare for winter. Winter produce does the same and includes citrus which provides extra Vitamin C to help us combat colds and flu. Spring produce with all the extra leafy greens helps us detox and shed the extra pounds acquired during the winter season. Encourages Variety: Eating seasonally encourages us to try different varieties of nutrient-dense foods throughout the various seasons that we may not normally try if we just eat our favorite fruits or vegetables all the time. 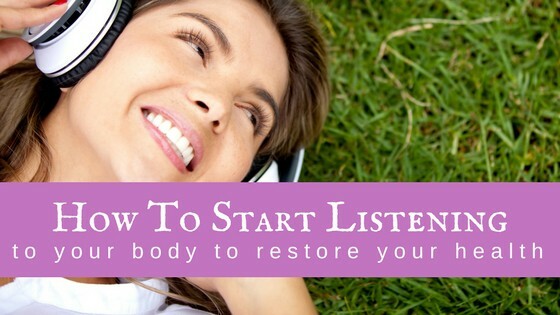 This can help us get the nutrition we need that we may have become deficient in during the course of the year. It also encourages experimentation with new foods and recipes. Connects You With Nature: Eating seasonally connects you to nature and the sense of rhythm that exists in the natural world. Before I share with you some practical ways to make eating seasonally happen for you…. 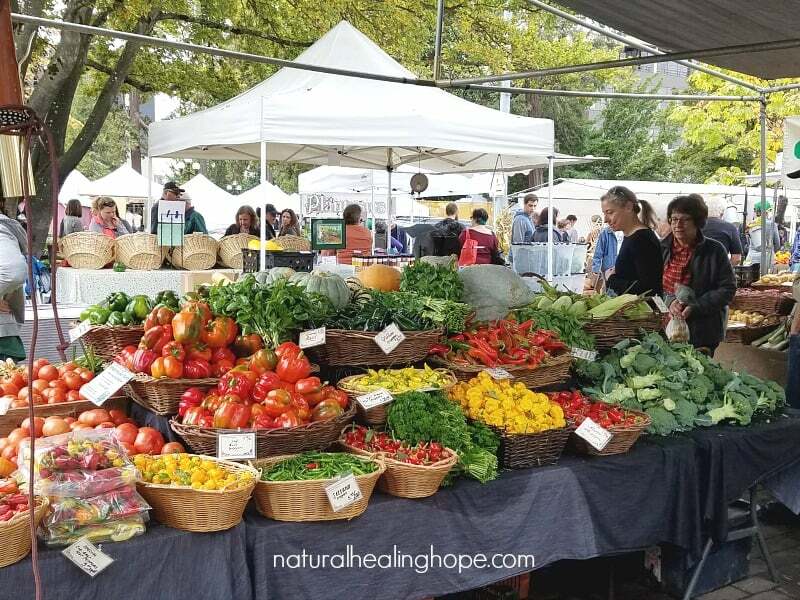 Check out these pictures from one of the most beautiful farmer’s markets I have ever been to in Eugene, Oregon. I love how each local farmer displayed their bounty. It sure makes you crave fresh produce right from the farm, doesn’t it? Plan your menu and shopping list around what’s in season. Download a printable copy of my Seasonal Fresh Produce Chart to help you plan your menu and eat seasonally throughout the year. Take it with you to your local supermarket to help you identify which produce is in season. I know this seems like a no-brainer but we are so accustomed to seeing all varieties of fresh produce all year long that we lose touch with what is actually in season. You can also use this site to find out what’s currently in season in your area. 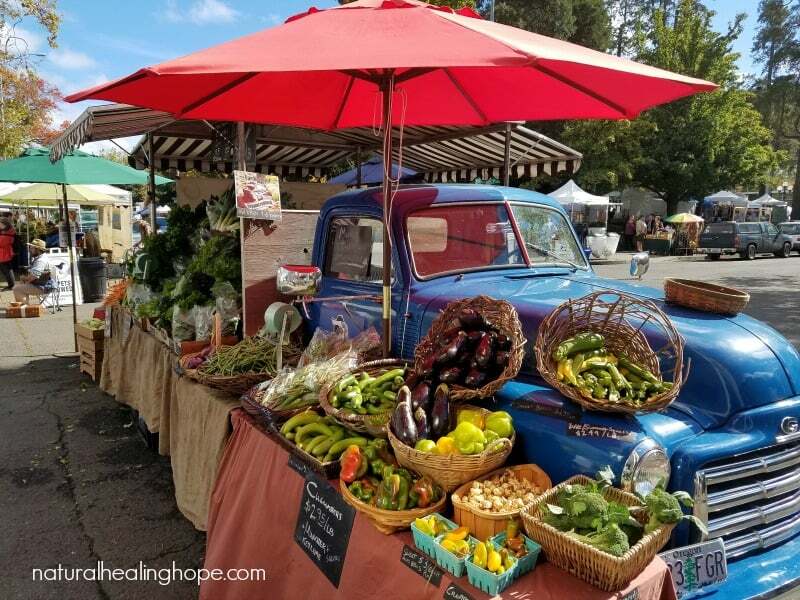 Shop at local farmers markets first. 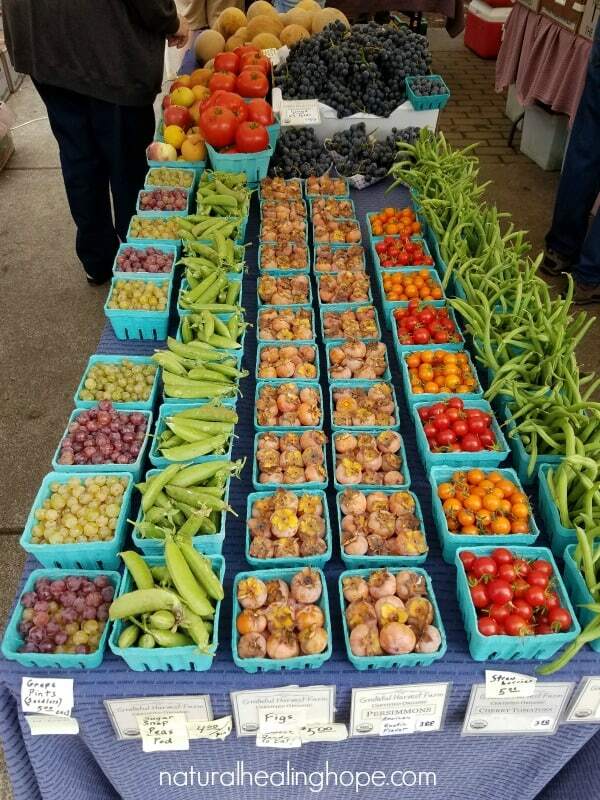 Make it part of your weekly routine to visit your local farmers market before doing your regular shopping trip to the supermarket and buy first what is available locally. I encourage you to try various farmers markets in surrounding communities on occasion as well. 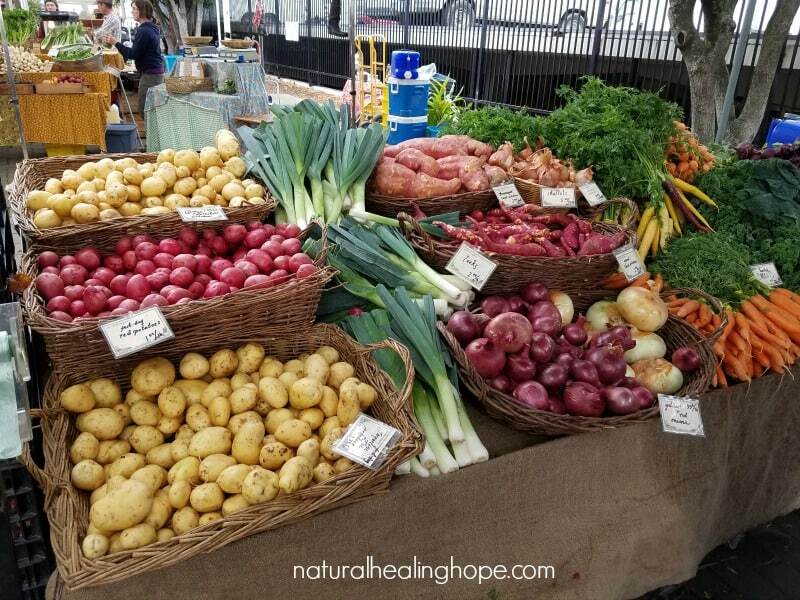 When I travel, I always like to find out about local farmer’s markets wherever I go. It is a wonderful part of learning more about the places you visit. Start your own garden. If you don’t have the space for a garden, explore container gardening, wall gardens, indoor gardening and gardens for small spaces on Pinterest. Set up some Pinterest boards to collect your ideas. Or there are some good books on Amazon like Small-Space Vegetable Gardens or The Edible Balcony that would help you get started. Another option which works good for indoor gardening is Areo Gardens. I got a small one for Christmas last year which is perfect for fresh herbs but they also have larger ones where you can keep a steady supply of fresh greens for salads. Join a community garden in your area. There is a farm near me that offers community garden plots of 20 by 20 feet for $200 per year to grow your own garden. You can do this as a family project or do it with a friend or group of friends. Find out about U-pick farms in your area and write the dates in your calendar for various harvest times. There is a U-pick farm near me that grows wonderful strawberries but every year I forget to go when they are in season and I miss it. You bet, it is now on my calendar for April to weekly go pick some strawberries. Did you know that strawberries are on the “Dirty Dozen” list of fruits and vegetables that you should prioritize getting organic because of all the known pesticides used on them? All the more important to get them locally when you can. And this year I plan to eat my fill of strawberries when they are in season and then say good-bye until the next year. Join a local CSA (Community Supported Agriculture) which allows you to pay in advance for a share in the farm harvest week after week. Please note: Most often you have to buy in before the season begins. We just joined a CSA that offers a spring/summer harvest plan that is 16 weeks beginning in April. It cost us $560.00 to buy in for the 16 weeks. There is another 12-week plan for the fall harvest available as well. At first, you may think this is a lot but when you consider the weekly cost is only $35.00 and we will receive 2 bags of a variety of fresh produce every week, its a good deal. My husband and I are so excited to try a wide variety of fresh produce and experiment with different recipes. Look into local foraging opportunities. Foraging simply means “the acquisition of food by hunting, fishing, or the gathering of plant matter”(dictionary.com). There is a fascinating site I found that has a world map full of foraging opportunities, they call it the Map of the Urban Harvest. I found so many interesting opportunities near me that I can’t wait to go on some adventures to find them. Check out what is available near you at http://fallingfruit.org. Focus in on the map where you live and you will find little red dots you can click on with information of what is available and when. For example, there is a tree near me in an old slave cemetery that is known for producing some amazing walnuts. I learned about it on this map where it also includes what time of year the nuts fall from the tree. Another cool thing I found through this site is a local foraging company called No Taste Like Home that offers Wild Food Adventures which include 3-hour “Off the Eaten Path” tours where you go hiking with a guide and learn about local edible plants. They even partner with local restaurants where you can drop off your foraged harvest and the chefs will prepare something with them for you at no extra cost. I can’t wait to try one of these tours! 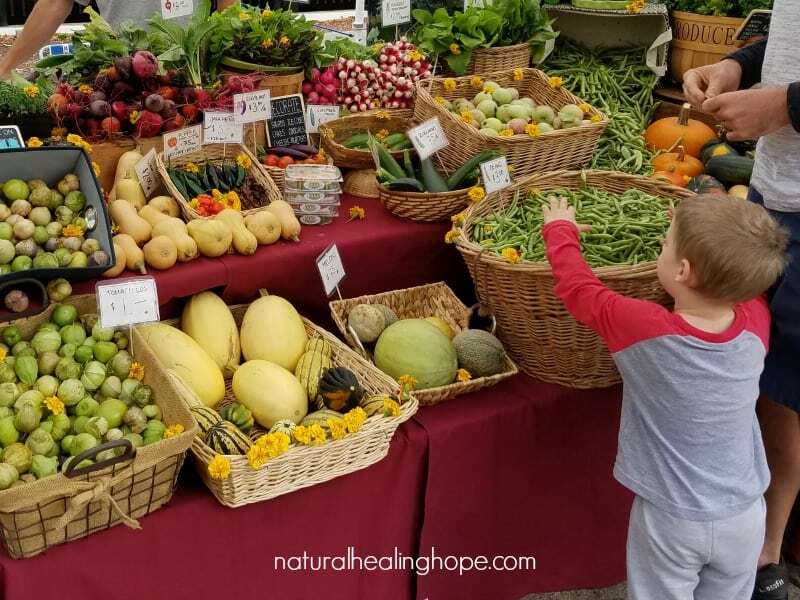 I hope all the information and ideas in this post gives you some inspiration and motivation to consider ways you can start eating seasonally with your family. If you have young kids, think of all the educational opportunities that this would offer them. And think about how their young developing bodies would benefit from all the nutrient dense food, free from all the harmful chemicals. I wish I would have learned all these things when I was raising my family. I would have definitely done things differently. We are empty nesters now and we enjoy our new way of eating. This year we were planning on starting our own garden but in the past we haven’t had much success with keeping plants alive for long. When evaluating the costs of starting a garden, the learning curve involved and the potential of failure we decided that participating in a CSA this year is the right move for us. What about you? Which of these ideas fit your lifestyle and appeal to you most? Please share in the comments and add any additional ideas you have for eating seasonally. Wishing you Joy in your natural health journey! P.S. If you enjoyed this post and you want to save some of these ideas for later, please pin to your favorite Pinterest Board. And make sure you grab a copy of my Seasonal Fresh Produce Chart from my Resource Library. Scroll to the bottom of this post to learn how.